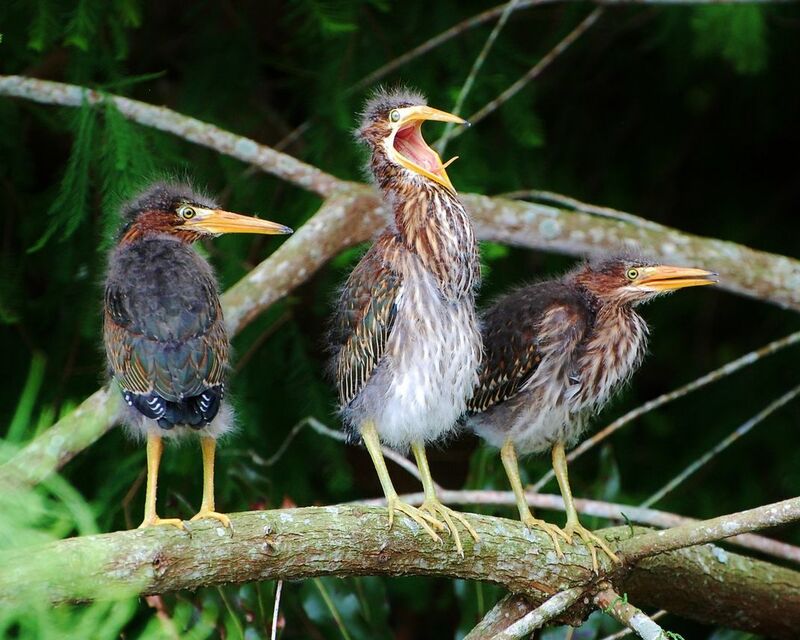 This trio of Little Green Heron fledglings were screaming to be fed. Mom was on her way but not coming fast enough. Date Uploaded: Sept. 16, 2016, 11:45 a.m.